Kaspersky Lab continues to lead the Russian market, with sales of $60.2 million and a market share of 45%. It has consolidated its position significantly, taking almost another 9% share of the market from its rivals in the space of a year. Symantec is in second place with sales of $24.5 million. Its share of the Russian market fell by 9.3% and now stands at 18.4%. Symantec’s market share is now 2.5 times less than the leader Kaspersky Lab. Trend Mircro and Dr.Web also lost ground in the Russian market and their growth rates are now significantly below the market average. Their market share fell by 4% and 2.9%, with sales of $8.6 million and $8.4 million respectively. That allowed ESET to overtake them and claim third place with a market share of 13.7% and sales of $18.3 million. 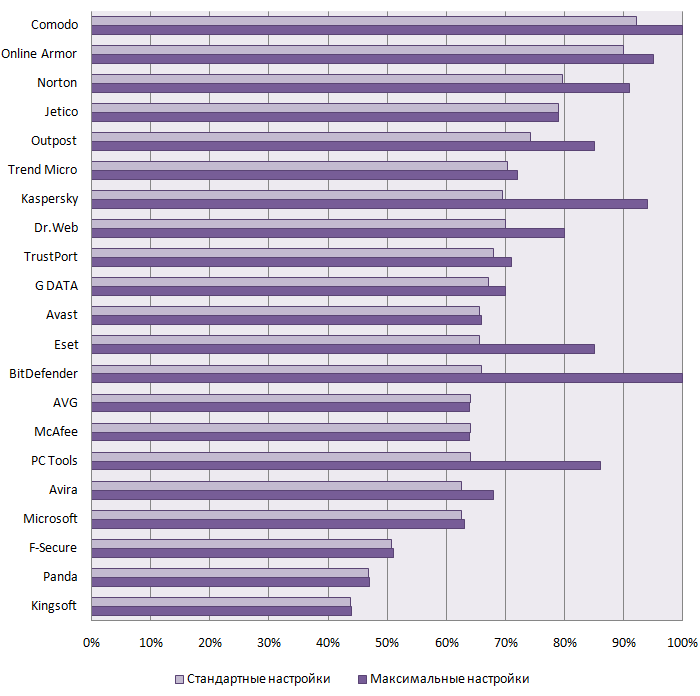 Overall, the top five companies earned $120 million in 2007, accounting for 90% of total antivirus software sales in Russia, which points to a virtual monopoly of the market by those vendors. In 2007, as in the previous year, two vendors – Kaspersky Lab and ESET – strengthened their positions. For the rest of the companies on the market 2007 was a less successful year. Symantec (9.3%) suffered the largest loss of market share, followed by Trend Micro (4%) and Dr.Web (2.9%). F-Secure, a market newcomer, managed to win approximately 1% of the market in 2007. The experts at Anti-Malware Test Lab forecast growth of 60% for the Russian antivirus software market in 2008, which means sales volumes will reach at least $210 million. Changes are also expected in the top five ranking of vendors. Given the right market conditions, ESET should continue to demonstrate a high growth rate that will take it ahead of Symantec. The success of Dr.Web’s AV-Desk service should also see it outstrip Trend Micro in the race for fourth place. Other players on the market shouldn’t be forgotten. McAfee has opened an official representative office in Russia and has announced its intention of investing substantial sums in the Russian market. McAfee is working actively with its partners, though when compared to the current activity of its competitors no significant breakthrough can be expected for 2008. Another relatively new arrival, BitDefender, has a lot of potential, but it is unlikely to demonstrate any significant growth in 2008. In Russia BitDefender and ESET have the same owner, which means the former will not threaten its more successful “sibling”.